Ever wanted to spend a night at the museum? 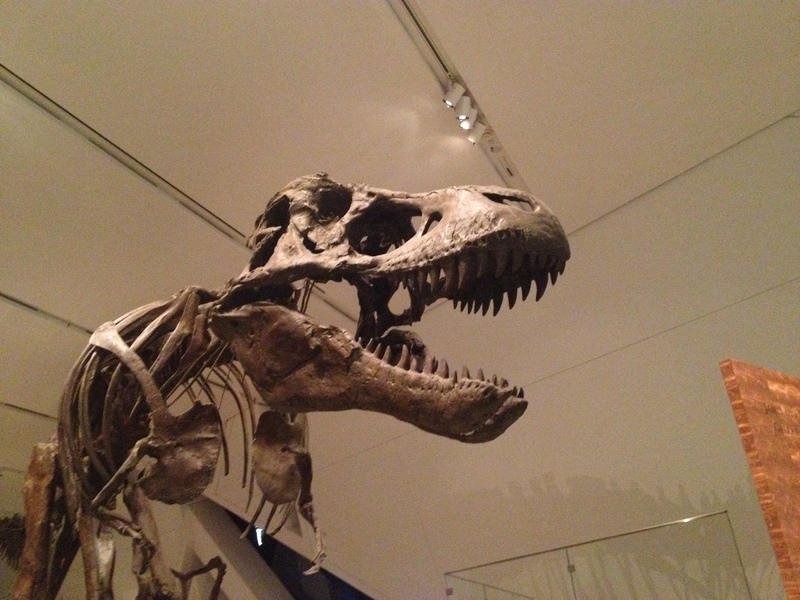 While it isn’t quite as fantastical as the movie, the Royal Ontario Museum’s Friday Night Live gives Torontonians a chance to party with the dinosaurs and any of the museum’s other inhabitants. 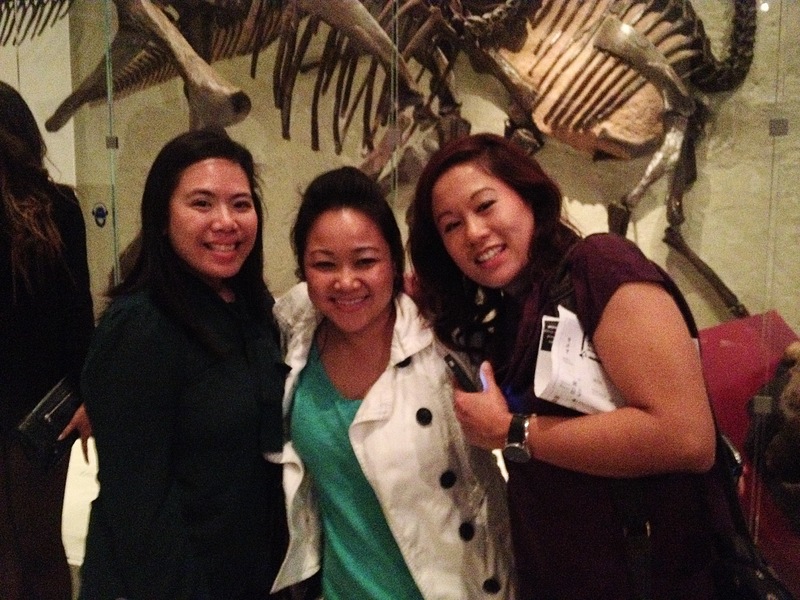 Hanging out with the dinos! Running from October 18th to December 6th, each evening has everything from food, great DJs spinning, and lots of exhibits to explore. You’re guaranteed a good time! Someone’s Happy to See Us! 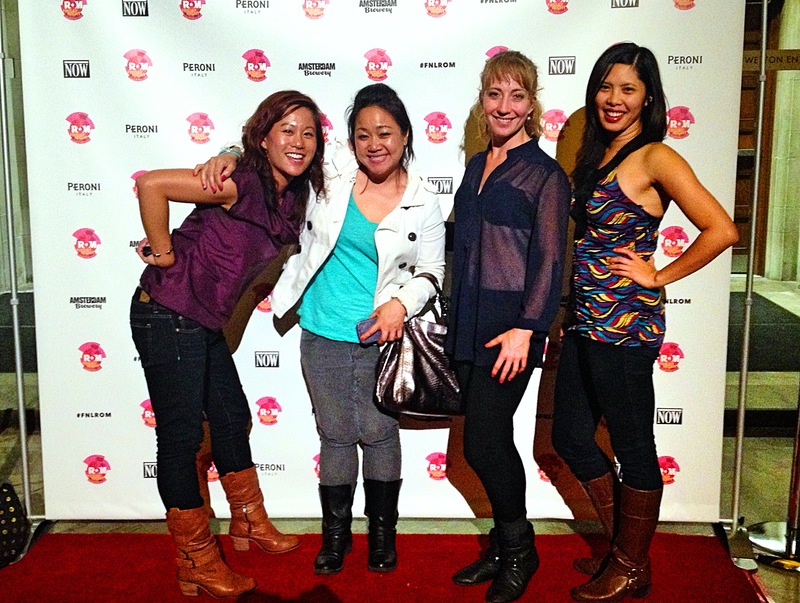 I was lucky to attend the FNL Fashion night on October 18th with Geraldine, Melissa and Sally. We had a great time sampling all the food pops they were show casing at the event. 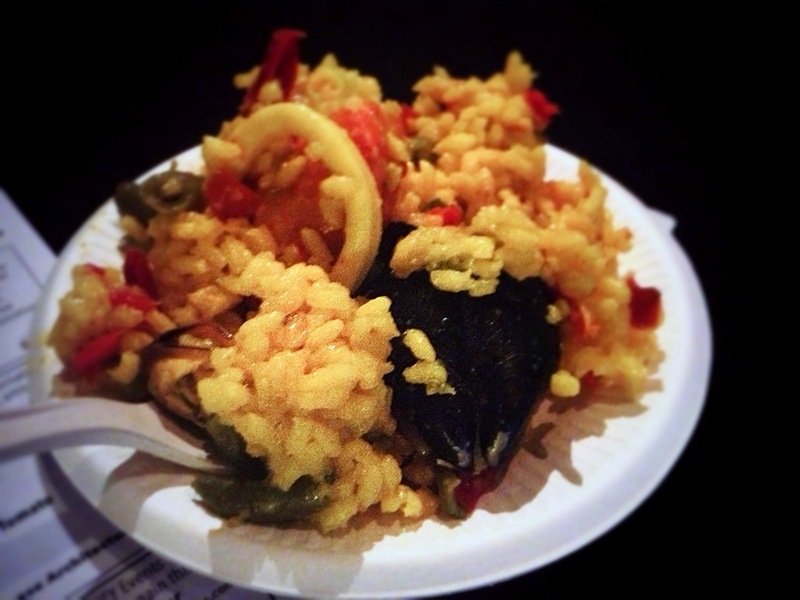 We tried paella from Pimenton, a local food truck and it was delicious. They had a Filipino pop up called Kanto by Tita Flips and they were serving their version of dressed up fries with a Filipino Twist – Sisig on top! 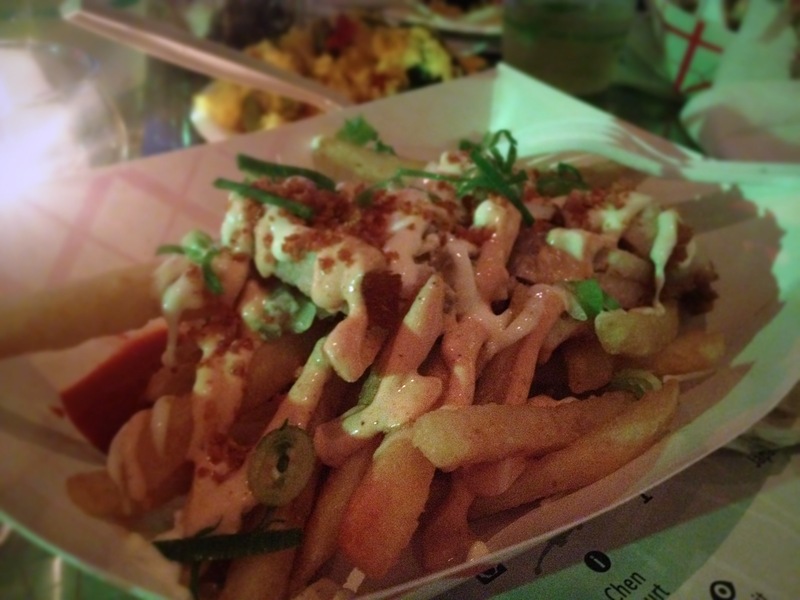 Pork SIsig Fries from Tita Flip’s Kanto Pop Up! 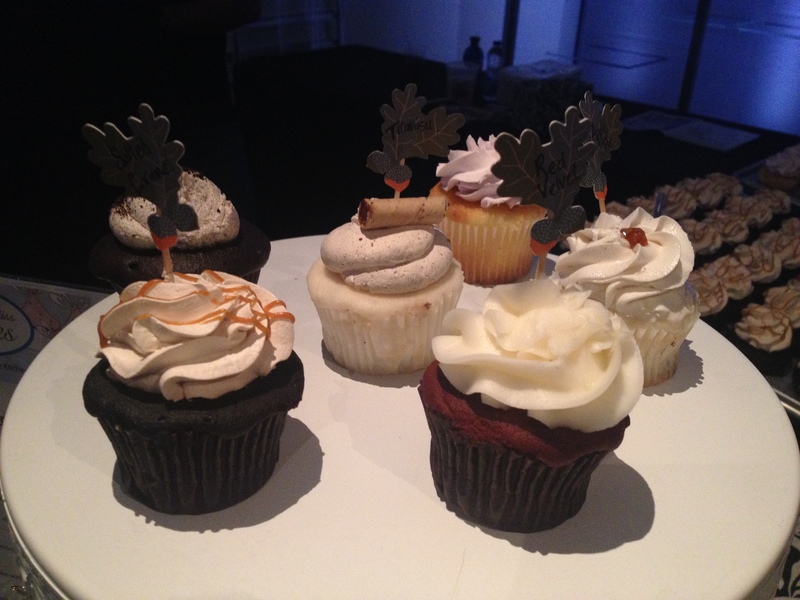 And our favourite cupcake truck, Curbside Bliss, was the prettiest thing in the gem room, and hey they tasted good too! These fashionable cupcakes from Curbside Bliss fit right in with the FNL Theme that evening of fashion. Talk about gorgeous cupcakes! Wow what a fantastic time. We even got to feel like fashion stars at their photo wall! Super stars at the FNL photowall! Thanks to the ROM for putting something this AMAZING together. The only downside is that this event only happens every Friday until December 6th. Make sure to buy your tickets in advanced so that you don’t get stuck waiting in the large queue outside the doors.